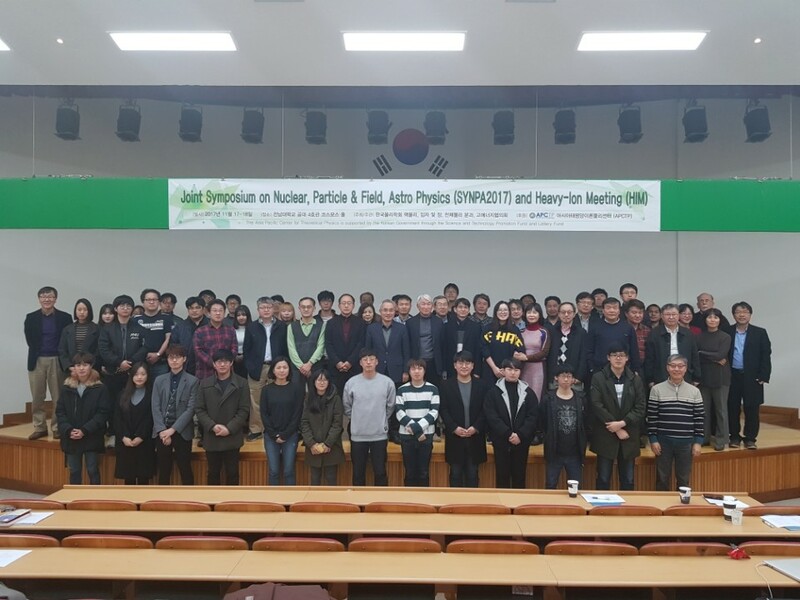 Joint Symposium on Nuclear, Particle & Field, and Astro Physics (SYNPA2017) is the forum where leading physicists in Korea review the recent research trends in each field and discuss together. This symposium will be held at Cosmos hall (1F) in the college of engineering building #4, Chonnam National University, Gwangju, Republic of Korea from November 17th to 18th, 2017 (전남대 공대 4호관 1층 코스모스홀). There will be a set of plenary invited 40 minutes review talks and the discussion.